Michael Rosensweet began working with children in 1997 as a CIT. This initial experience developed a passion for camp and teaching kids! Throughout high school & college, Michael coached at sports and basketball camps. In these roles, Michael led multi sport, tennis and basketball programming. Notable camps include the University of Louisville, FDU, the Hoop Group & Seton Hall University. Michael graduated from St Thomas Aquinas College with a degree in business and finance. Upon graduation, He landed a role with the NY Jets and relayed that to a basketball operations position with the FDU women’s basketball team (2006-2007). He landed an opportunity as an athletic director (2007-2008) at the Ability School in Englewood, NJ. In this role he found his true life calling of coaching in an early childhood setting. 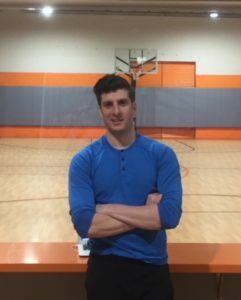 This led Michael to landing a coaching role at the JCC on the Palisades (2008-2010). In 2010 Michael formed Playmaker All-Stars and combined his passion for business and coaching.